Obiora E. Nkwonta, D.D.S. (Seattle) - Book Appointment Online! Our qualified hygiene and dental assistants will assist you through our variety of treatment plans and methods that provide the proper degree of results desired to give you that elusive attractive smile. 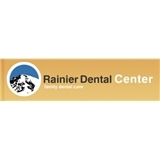 Rainier Dental Care is concerned about you and your health, so we utilize the latest techniques and medications to ensure your comfort. Our services include preventive, cosmetic, and restorative family dental care. We work closely with you to ensure you get the best possible care and every procedure is done with your comfort and safety in mind.